Our consultants are very comfortable with ambiguity and uncertainty. They recognise that they are not employed to provide standard solutions or expert advice, but to help our clients deal with complexity in all its unique forms. They are comfortable as part of a team and have a highly integrative approach to getting the very best out of people for them to develop solutions to their own challenges. Above all, they are attuned to generativity and a highly appreciative approach to dealing with clients at all levels. Martin has over 25 years’ international consulting experience in strategy, culture, and change leadership, working with governments, major corporations and non-profit organisations around the world. He is a skilled facilitator, futurist, educator, mentor and coach utilising appreciative and generative approaches. Martin enjoys the challenges presented by complex issues, breaking them down into simpler systems which can be managed in helping people move forward positively. Martin is a Fellow of the RSA and a member of Policy Voice at the Institute of Directors. 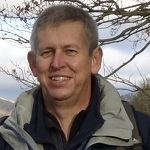 Martin Hazell and Alan Bainbridge were contributors to “Activity-based Management: new approaches to measuring performance and managing cost”, Morrow M, Woodhead-Faulkner, 1992. 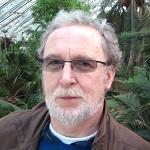 Alan has worked as a change agent in a wide variety of organisations in both the public and private sectors and has spent many years helping managers identify the right questions, focus on the key issue and then facilitating executive alignment around an agreed solution. He has a broad range of ‘hard’ and ‘soft’ skills: from data analysis to executive coaching. His experience as a consultant and facilitator has led him to observe that people, sometimes quite low down the organisation, often have great insights into issues and potential solutions, and moreover it is important to understand their position when planning implementations. Alan is a Fellow of the Institute of Chartered Accountants in England and Wales. Patricia has worked in many types of organisation from SME to global blue chip, and in many countries from Europe and the USA to South Asia. Her incurable curiosity and enthusiasm for learning has led her from systems thinking and complexity science to discovering her passion: helping people to understand and work with foresight. She is passionate about helping leaders to ignite purpose, engagement and above all aligned performance in their teams. She works with people and their organisations to develop possibility, design and co-create appropriate strategy and then implement successfully. 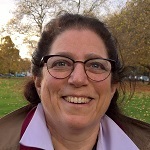 Particia has written three books “Strategic Foresight: learning from the future” Lustig, P, Triarchy Press, 2015; Here be Dragons: navigating in an uncertain world”, Ringland, G, Lustig, P, Phaal, R, et al, The Choir Press, 2012; and “Beyond Crisis: achieving renewal in a turbulent world”, Ringland, G, Sparrow, O, and Lustig, PJ, Wiley & Sons, 2010. Brian has a wealth of experience in financial reporting and consolidations in a large variety of companies and sectors where he has successfully turned his hand to a variety of roles producing, developing and refining regular financial reporting packs for boards, senior management and providers of capital. He has comprehensive IT and financial modelling skills, in particular Excel, SAP BOFC and Hyperion Essbase. Brian provides a steady pair of hands on an interim basis to our clients to ensure stability in financial management, freeing up client staff to focus on adapting to significant changes in their business environment and ways of working. Brian is an Associate of the Institute of Chartered Accountants in England and Wales.